Villa Ariadne is located in Argaka, Cyprus. This detached vacation rental property is air-conditioned and sleeps up to 10 people with 4 bedrooms, 5 bathrooms along with private swimming pool and sea views. The villa is walking distance to the beach. 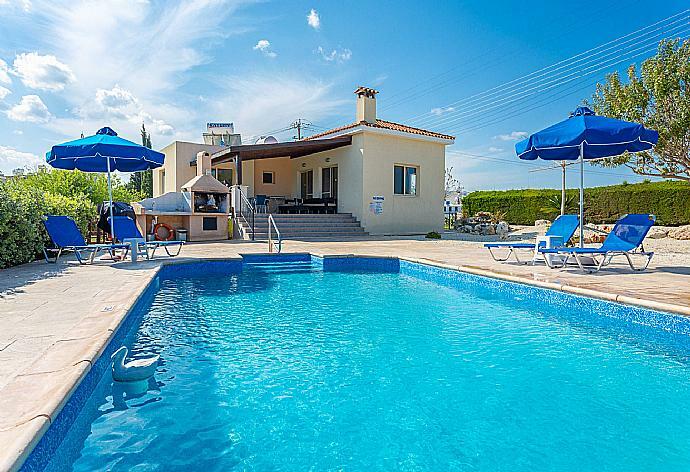 Villa Blue Diamond is located in Agia Marina, Cyprus. This vacation rental property is air-conditioned and sleeps up to 7 people (6 adults and 1 child) with 4 bedrooms, 3 bathrooms along with private swimming pool and sea views. 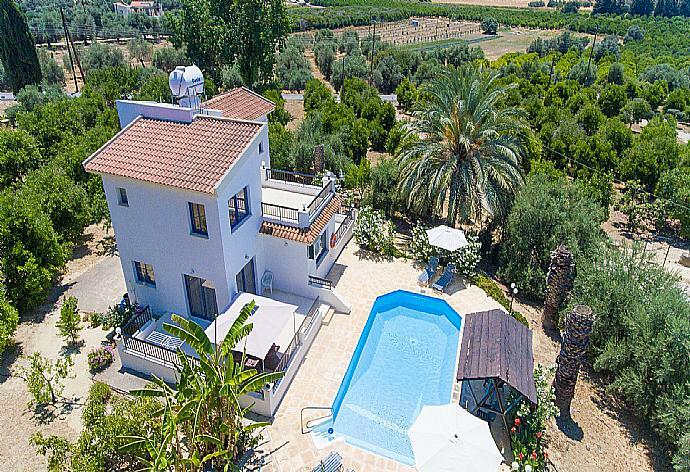 Villa Christel is located in Peristerona near Latchi, Cyprus. This detached vacation rental property is air-conditioned and sleeps up to 9 people (8 adults and 1 child) with 4 bedrooms, 5 bathrooms along with private swimming pool. Villa Evelina is located in Neo Chorio, Cyprus. 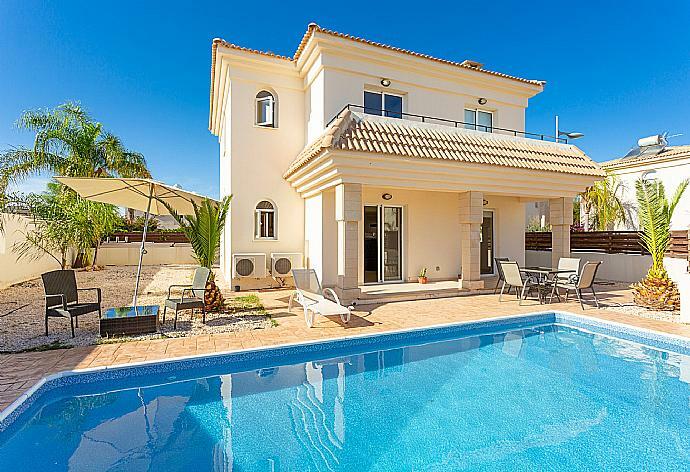 This detached vacation rental property is air-conditioned and sleeps up to 6 people with 3 bedrooms, 4 bathrooms along with private swimming pool and sea views. The villa is walking distance to the beach and restaurants. 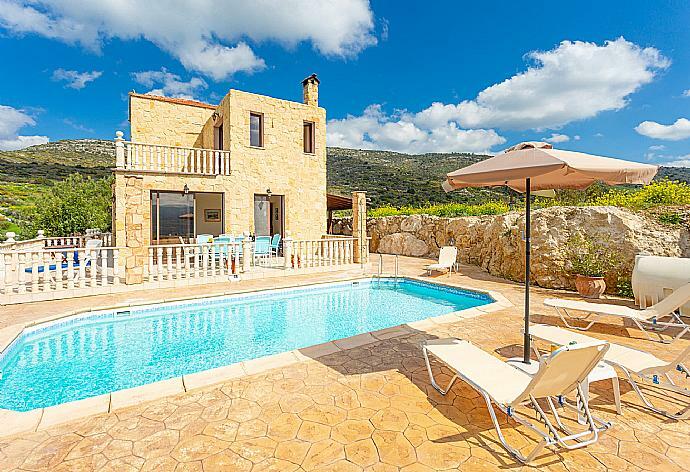 Villa Heaven is located in Peristerona near Latchi, Cyprus. This detached vacation rental property is air-conditioned and sleeps up to 7 people (6 adults and 1 child) with 3 bedrooms, 3 bathrooms along with private swimming pool (South West Facing) and sea views. 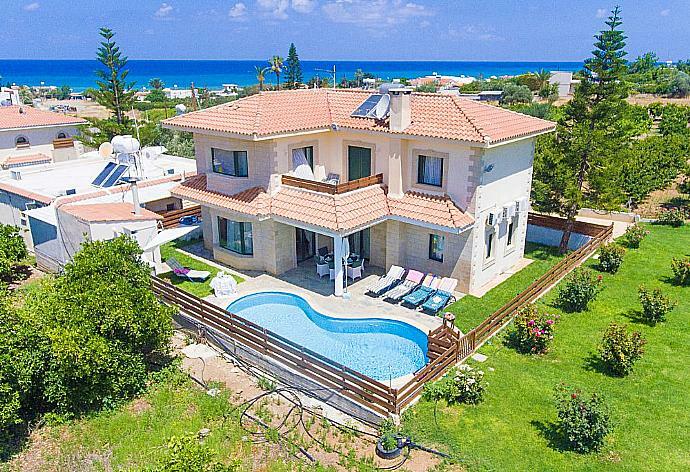 Villa Iliada is located in Latchi, Cyprus. This detached vacation rental property is air-conditioned and sleeps up to 6 people with 3 bedrooms, 3 bathrooms along with private swimming pool. The villa is walking distance to the beach and restaurants. 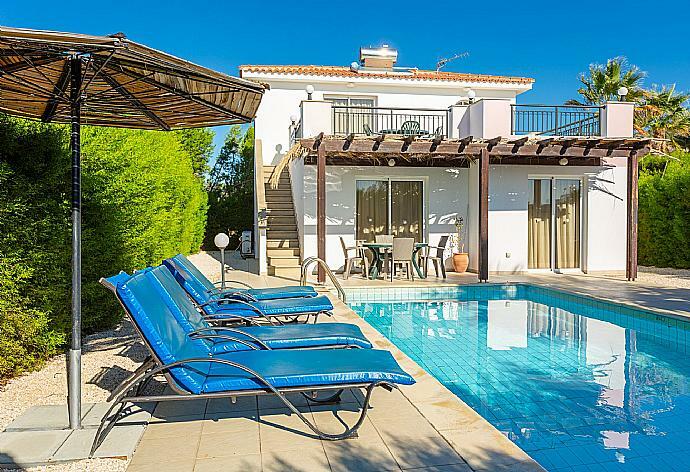 Villa Hera is located in Latchi, Cyprus. This detached vacation rental property is air-conditioned and sleeps up to 7 people (6 adults and 1 child) with 3 bedrooms, 3 bathrooms along with private swimming pool and sea views. The villa is walking distance to the beach and restaurants. 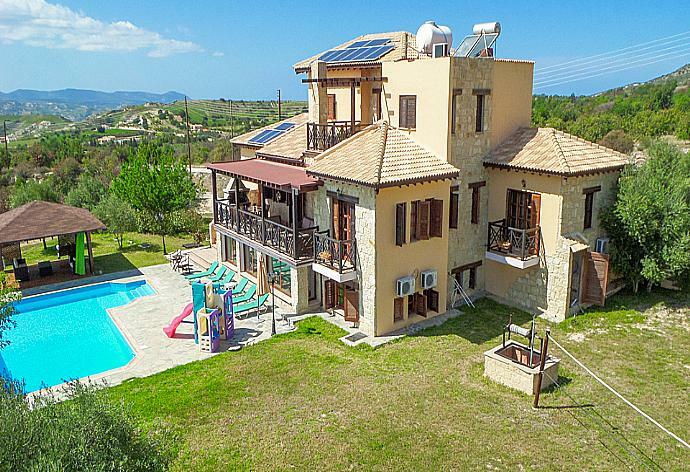 Villa Kalizoni is located in Neo Chorio, Cyprus. This detached vacation rental property is air-conditioned and sleeps up to 7 people with 4 bedrooms, 3 bathrooms along with private swimming pool. The villa is walking distance to the beach and restaurants. 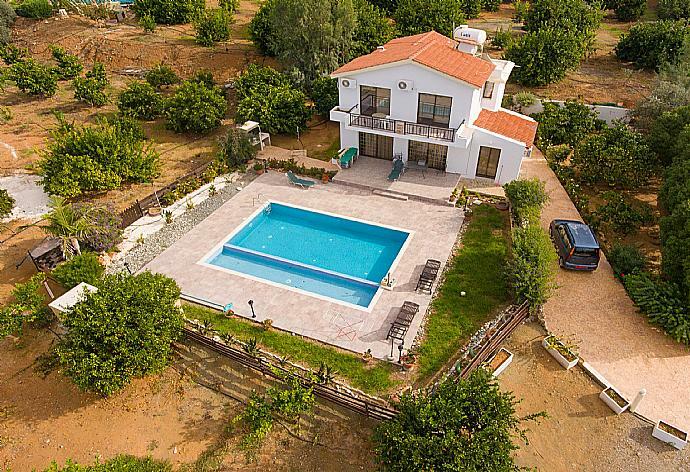 Villa Kinousa 1 is located in Kynousa, Cyprus. 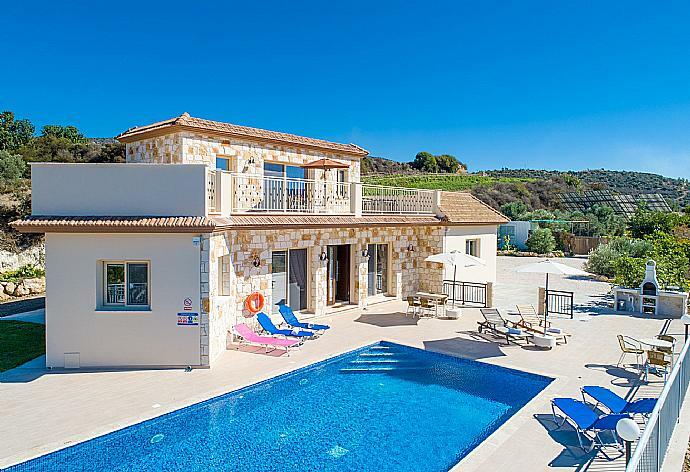 This detached vacation rental property is air-conditioned and sleeps up to 9 people (8 adults and 1 child) with 4 bedrooms, 4 bathrooms along with private swimming pool and sea views. Villa Kinousa 2 is located in Kynousa, Cyprus. 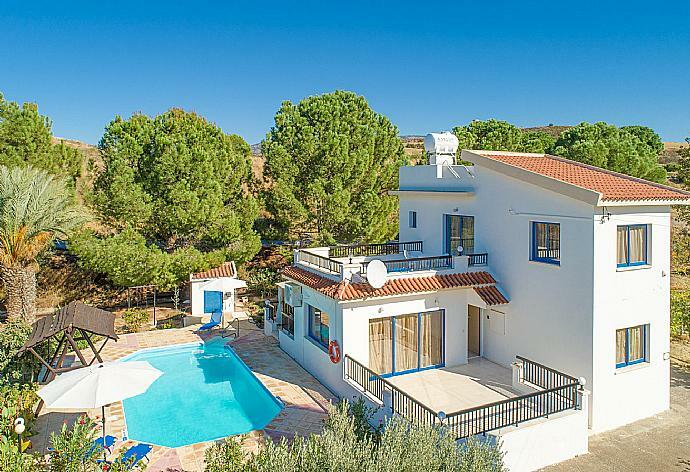 This detached vacation rental property is air-conditioned and sleeps up to 9 people (8 adults and 1 child) with 4 bedrooms, 4 bathrooms along with private swimming pool and sea views. 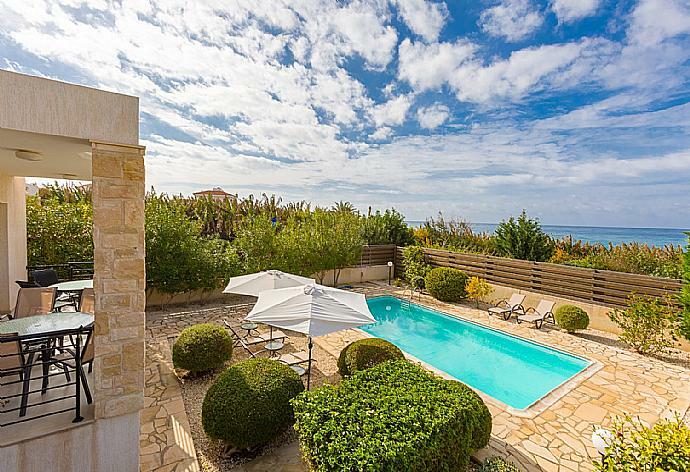 Villa Lela Tria is located in Coral Bay - Paphos, Cyprus. This detached vacation rental property is air-conditioned and sleeps up to 5 people with 2 bedrooms, 2 bathrooms along with private swimming pool and sea views. The villa is walking distance to the beach and restaurants. 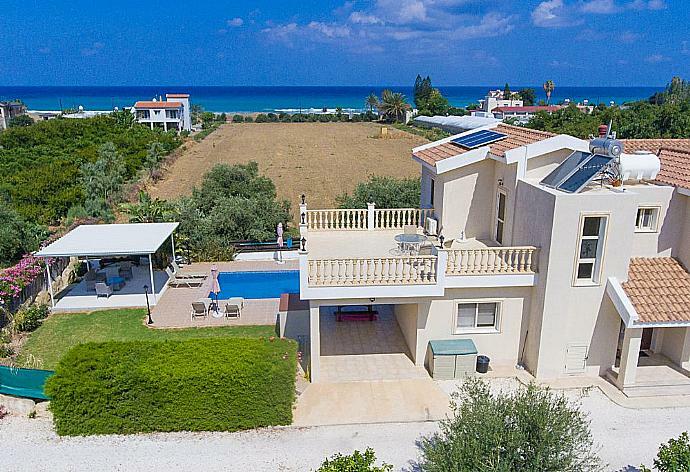 Villa Minoas is located in Argaka, Cyprus. This detached vacation rental property is air-conditioned and sleeps up to 10 people with 4 bedrooms, 5 bathrooms along with private swimming pool and sea views. The villa is walking distance to the beach. 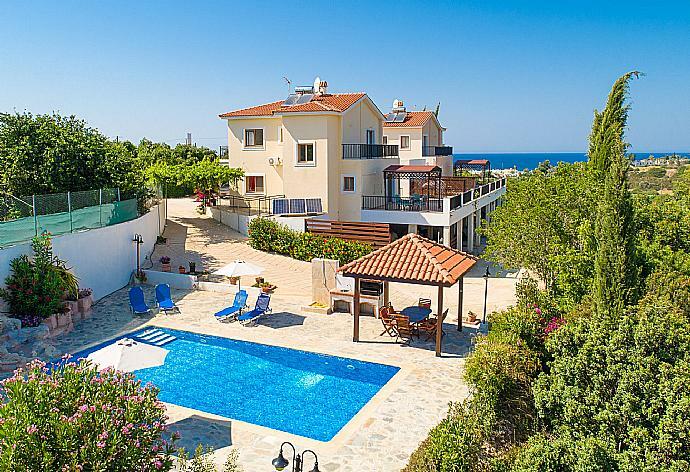 Villa Rallo is located in Steni, Cyprus. 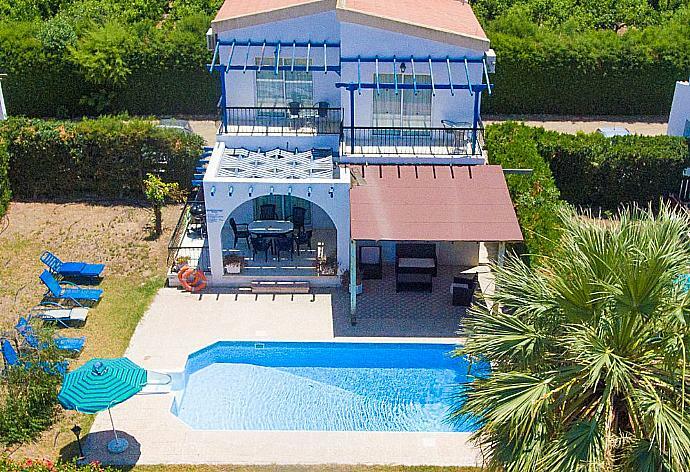 This detached vacation rental property is air-conditioned and sleeps up to 6 people with 3 bedrooms, 4 bathrooms along with private swimming pool and sea views. 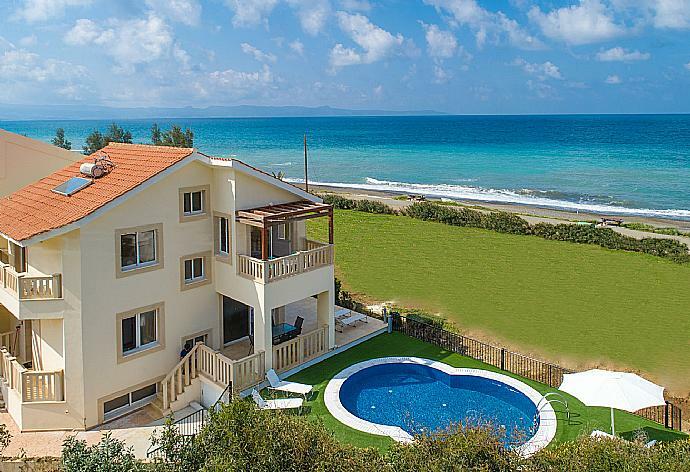 Villa Pelagos is located in Agia Marina, Cyprus. This detached vacation rental property is air-conditioned and sleeps up to 6 people with 3 bedrooms, 3 bathrooms along with private swimming pool (South Facing) and sea views. The villa is walking distance to the beach and restaurants. 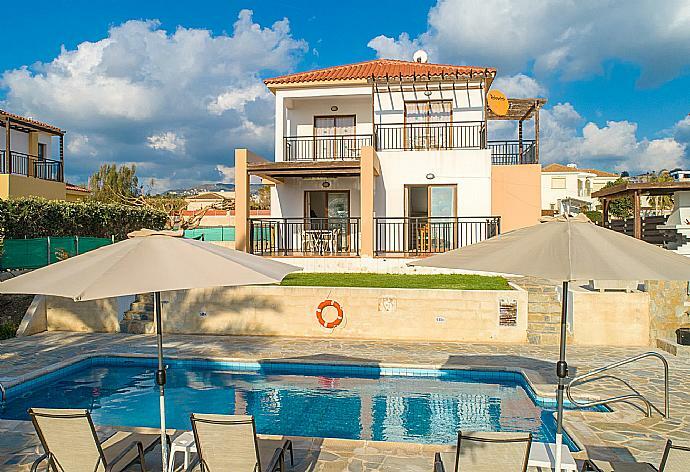 Villa Themis is located in Coral Bay - Paphos, Cyprus. This detached vacation rental property is air-conditioned and sleeps up to 6 people with 3 bedrooms, 4 bathrooms along with private swimming pool (South West Facing) and sea views. The villa is walking distance to restaurants. 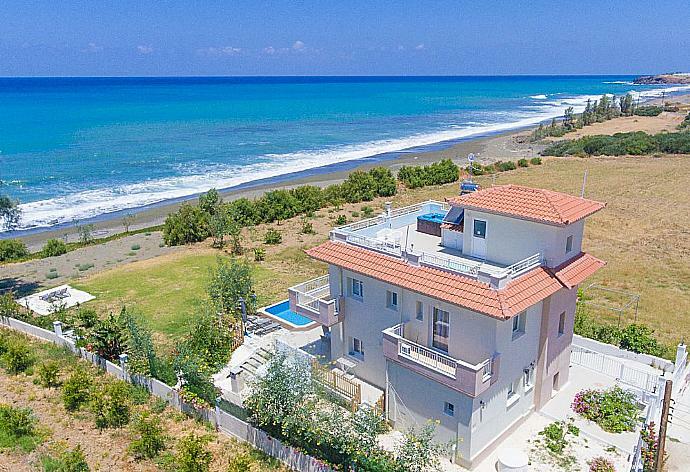 Sun Beach Villa Thio is located in Polis, Cyprus. This detached vacation rental property is air-conditioned and sleeps up to 6 people (5 adults and 1 child) with 2 bedrooms, 3 bathrooms along with private swimming pool. The villa is walking distance to the beach and restaurants. 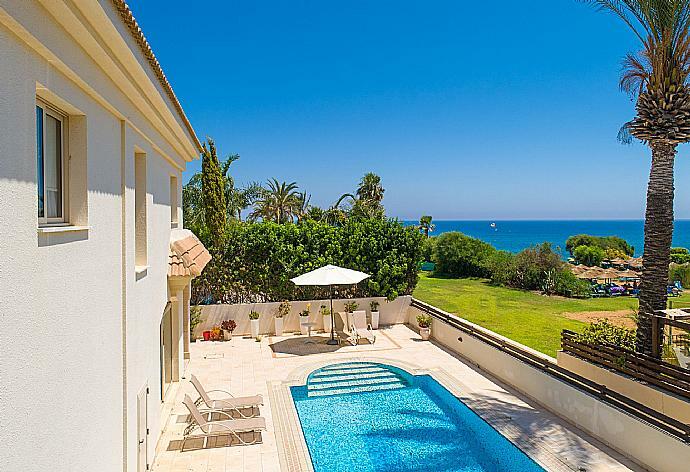 Villa Anassa is located in Protaras, Cyprus. This detached vacation rental property is air-conditioned and sleeps up to 6 people with 3 bedrooms, 3 bathrooms along with private swimming pool. The villa is walking distance to the beach and restaurants. 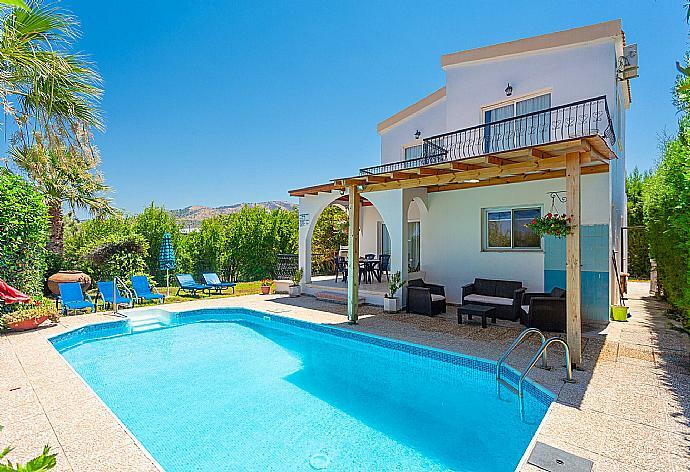 Villa Angelina is located in Road to Coral Bay, Cyprus. This detached vacation rental property is air-conditioned and sleeps up to 7 people with 3 bedrooms, 3 bathrooms along with private swimming pool and sea views. The villa is walking distance to the beach and restaurants. 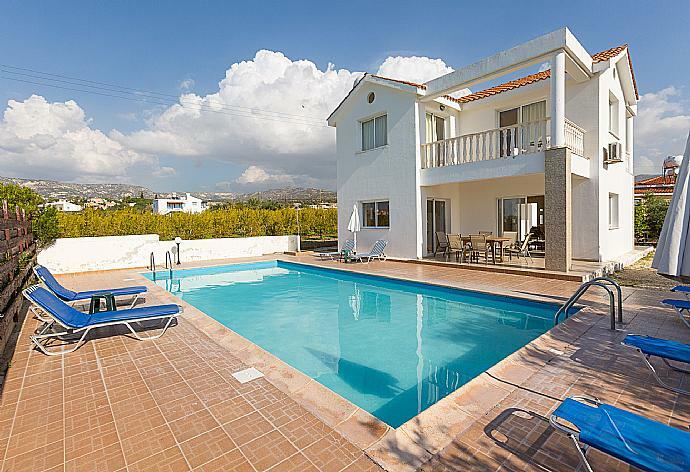 Villa Arianna is located in Protaras, Cyprus. This detached vacation rental property is air-conditioned and sleeps up to 6 people with 3 bedrooms, 3 bathrooms along with private swimming pool. The villa is walking distance to the beach and restaurants. Charoula Tessera is located in Polis, Cyprus. This detached vacation rental property is air-conditioned and sleeps up to 7 people (6 adults and 1 child) with 3 bedrooms, 3 bathrooms along with private swimming pool (South Facing) . 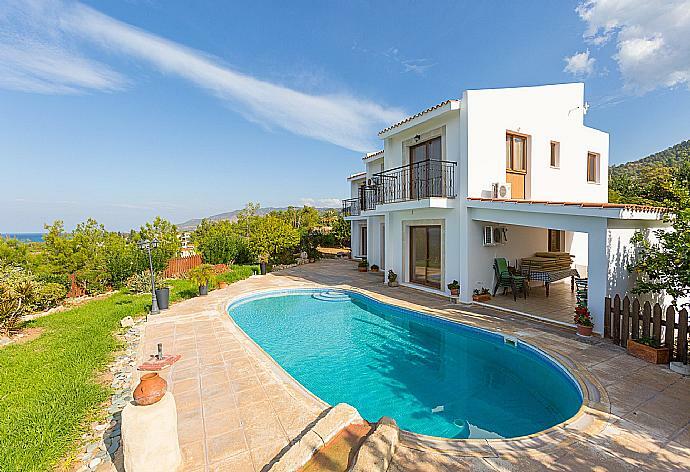 Villa Felice is located in Road to Coral Bay, Cyprus. This detached vacation rental property is air-conditioned and sleeps up to 8 people with 5 bedrooms, 4 bathrooms along with private swimming pool (South West Facing) and sea views. The villa is walking distance to the beach and restaurants. 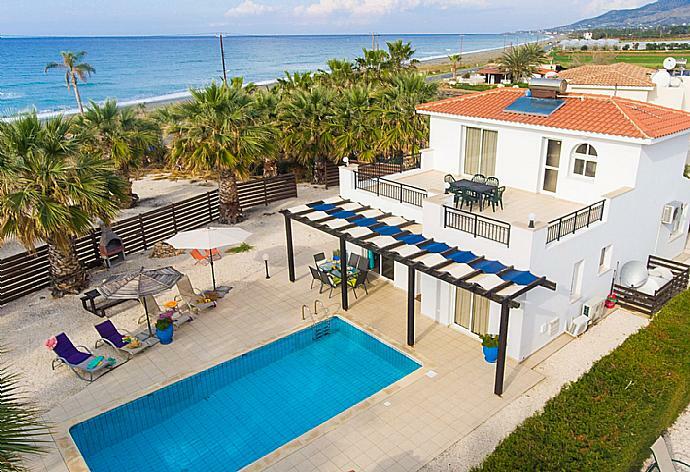 Kalisto Beach Villa is located in Agia Marina, Cyprus. 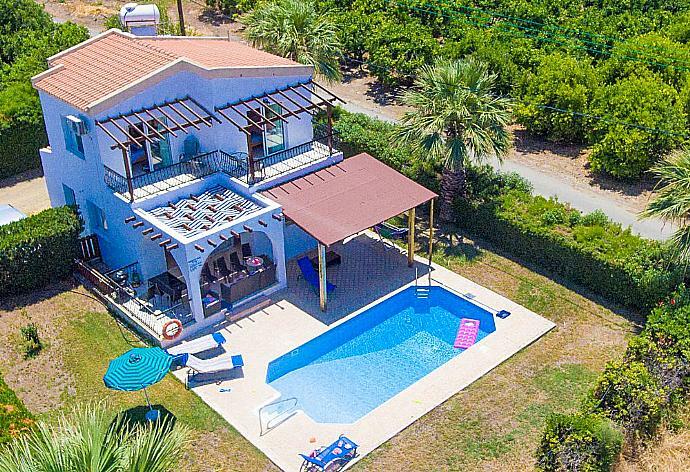 This detached vacation rental property is air-conditioned and sleeps up to 7 people with 3 bedrooms, 4 bathrooms along with private swimming pool and sea views. The villa is walking distance to the beach and restaurants. Villa Myra is located in Protaras, Cyprus. This detached vacation rental property is air-conditioned and sleeps up to 6 people with 3 bedrooms, 3 bathrooms along with private swimming pool. The villa is walking distance to the beach and restaurants. 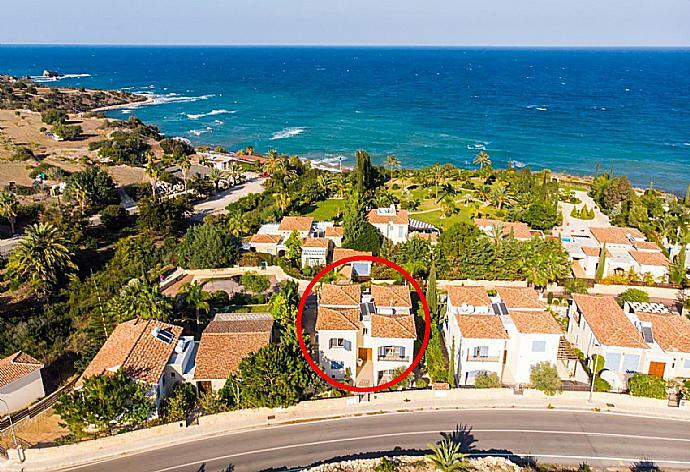 Villa Regina 2 is located in Coral Bay - Paphos, Cyprus. 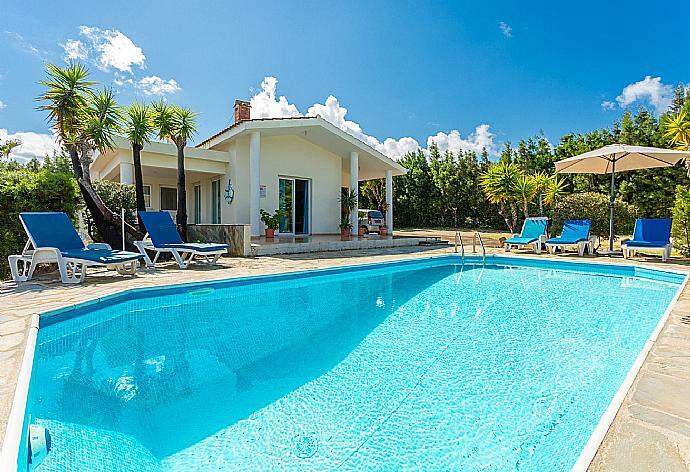 This detached vacation rental property is air-conditioned and sleeps up to 9 people (8 adults and 1 child) with 4 bedrooms, 4 bathrooms along with private swimming pool and sea views. The villa is walking distance to the beach and restaurants. 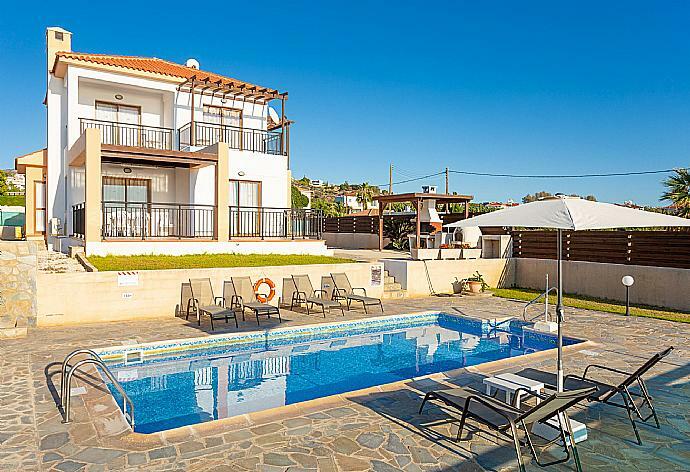 Villa Rose is located in Agia Marina, Cyprus. This detached vacation rental property is air-conditioned and sleeps up to 9 people (8 adults and 1 child) with 4 bedrooms, 3 bathrooms along with private swimming pool and sea views. The villa is walking distance to the beach. 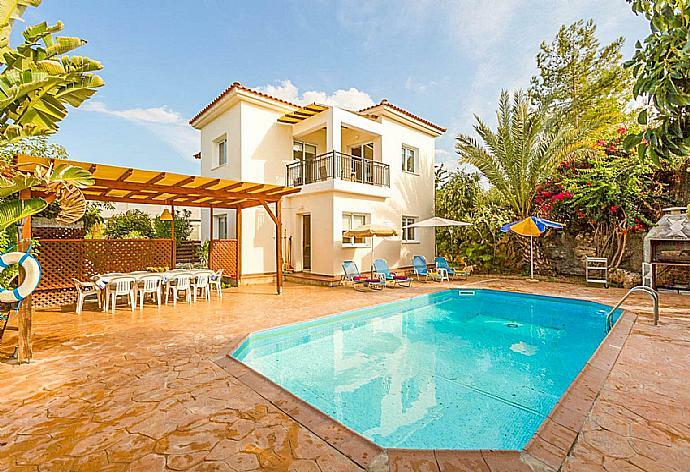 Villa Rhodia is located in Steni, Cyprus. This detached vacation rental property is air-conditioned and sleeps up to 11 people (10 adults and 1 child) with 5 bedrooms, 5 bathrooms along with private swimming pool (South Facing) . The villa is walking distance to restaurants. 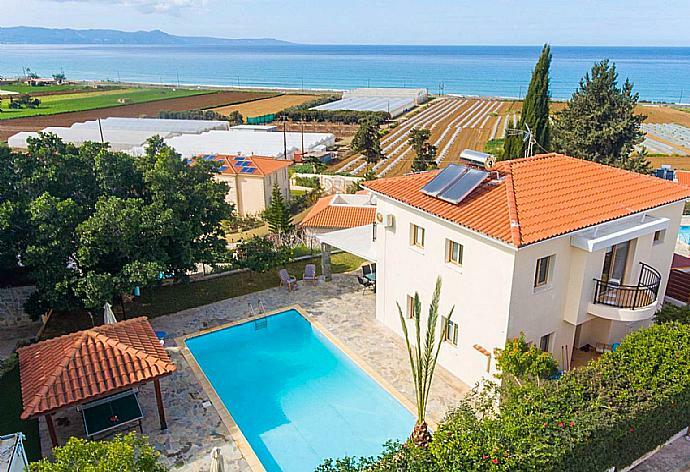 Argaka Sun Villa Tessera is located in Argaka, Cyprus. This detached vacation rental property is air-conditioned and sleeps up to 6 people (4 adults and 2 children) with 2 bedrooms, 3 bathrooms along with private swimming pool and sea views. The villa is walking distance to the beach. 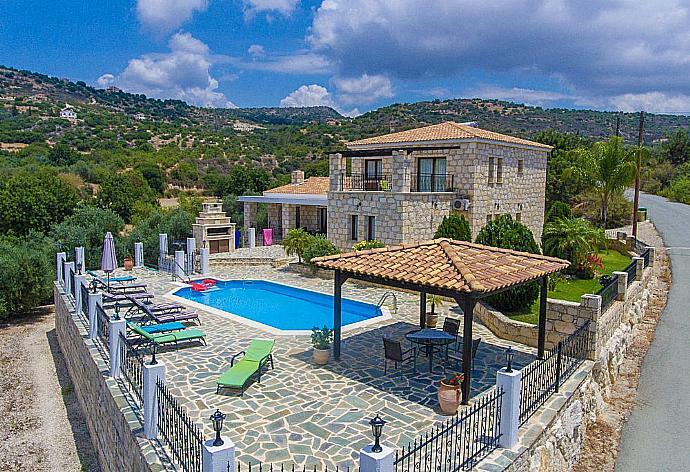 Villa Noni is located in Polis, Cyprus. This detached vacation rental property is air-conditioned and sleeps up to 10 people (8 adults and 2 children) with 4 bedrooms, 5 bathrooms along with private swimming pool. Villa Mandora is located in Latchi, Cyprus. 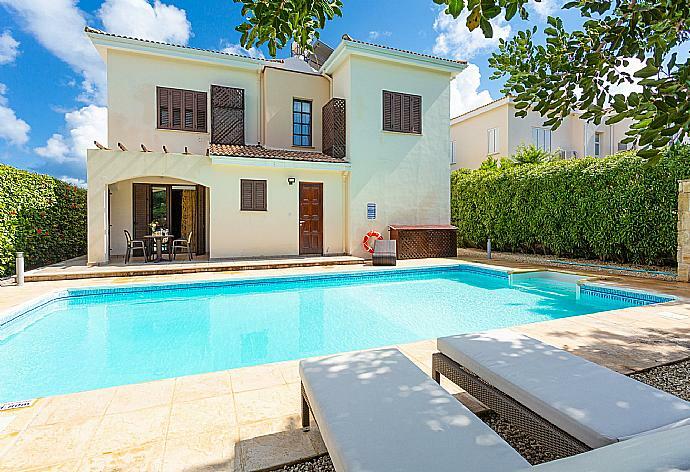 This detached vacation rental property is air-conditioned and sleeps up to 8 people with 4 bedrooms, 4 bathrooms along with private swimming pool and sea views. 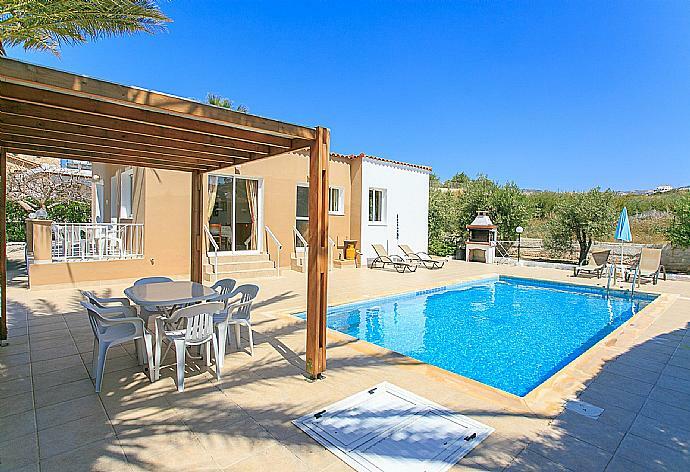 Villa Charoula Ena is located in Polis, Cyprus. This detached vacation rental property is air-conditioned and sleeps up to 4 people with 2 bedrooms, 2 bathrooms along with private swimming pool. 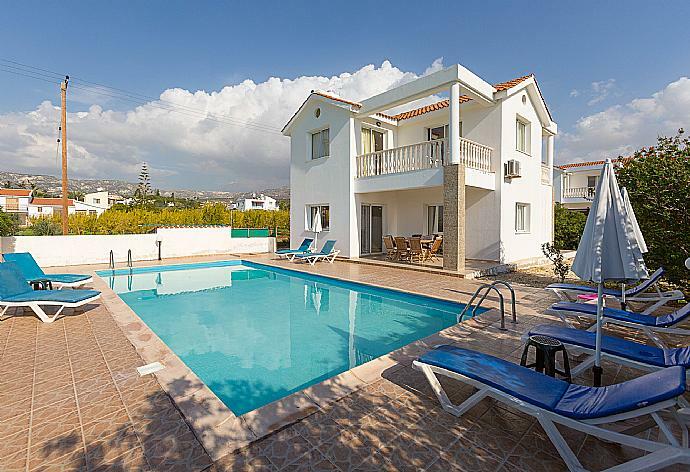 Argaka Sun Villa Thio is located in Argaka, Cyprus. 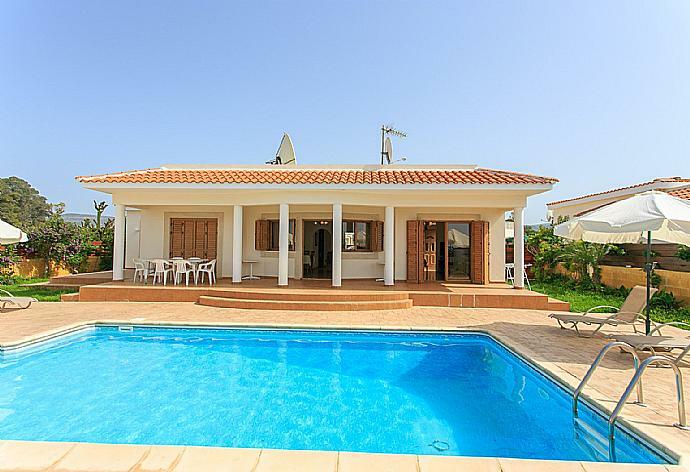 This detached vacation rental property is air-conditioned and sleeps up to 6 people (4 adults and 2 children) with 2 bedrooms, 3 bathrooms along with private swimming pool and sea views. The villa is walking distance to the beach. 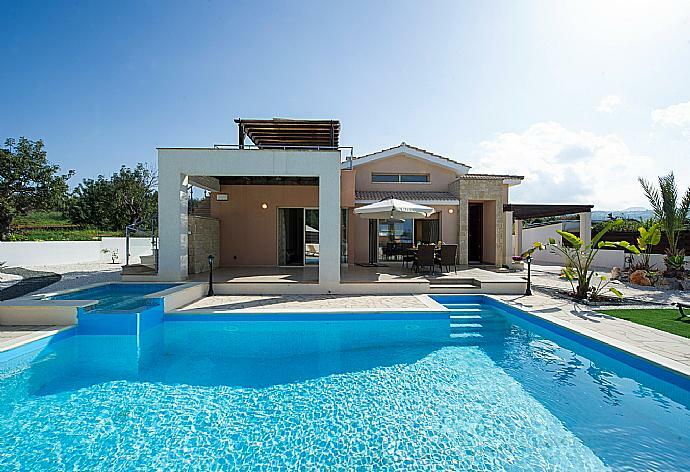 Hector Beach Villa is located in Polis, Cyprus. 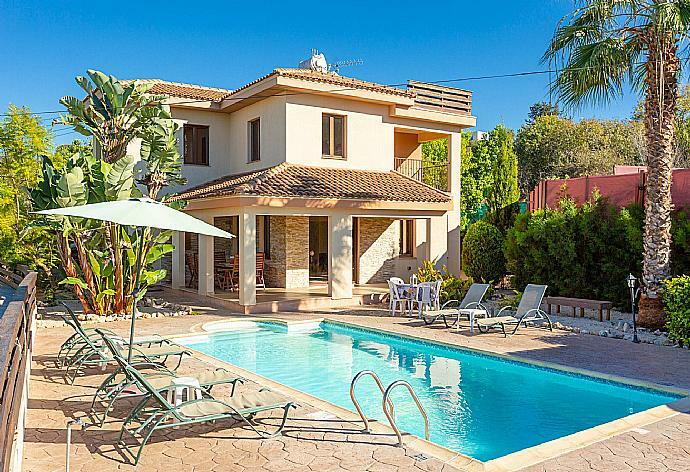 This detached vacation rental property is air-conditioned and sleeps up to 7 people with 3 bedrooms, 4 bathrooms along with private swimming pool and sea views. The villa is walking distance to the beach and restaurants. 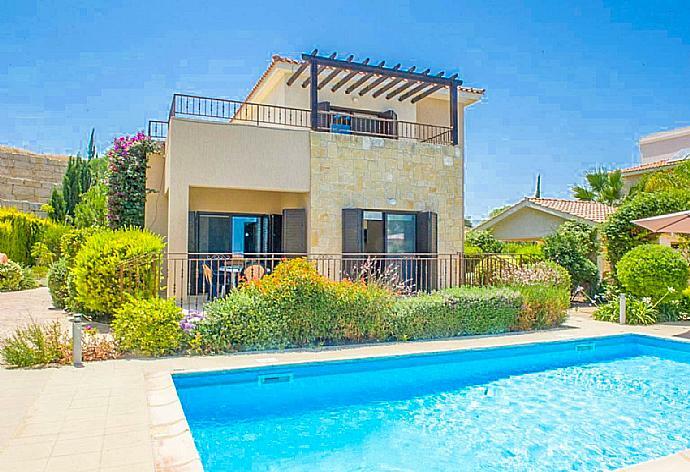 Sun Beach Villa Tria is located in Polis, Cyprus. This detached vacation rental property is air-conditioned and sleeps up to 6 people (5 adults and 1 child) with 2 bedrooms, 3 bathrooms along with private swimming pool. The villa is walking distance to the beach and restaurants. 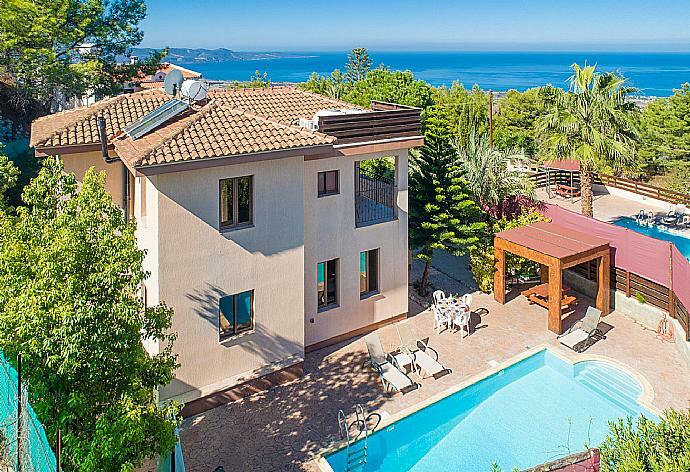 Villa Altea is located in Argaka, Cyprus. This detached vacation rental property is air-conditioned and sleeps up to 5 people with 2 bedrooms, 2 bathrooms along with private swimming pool (South West Facing) and sea views. The villa is walking distance to the beach. 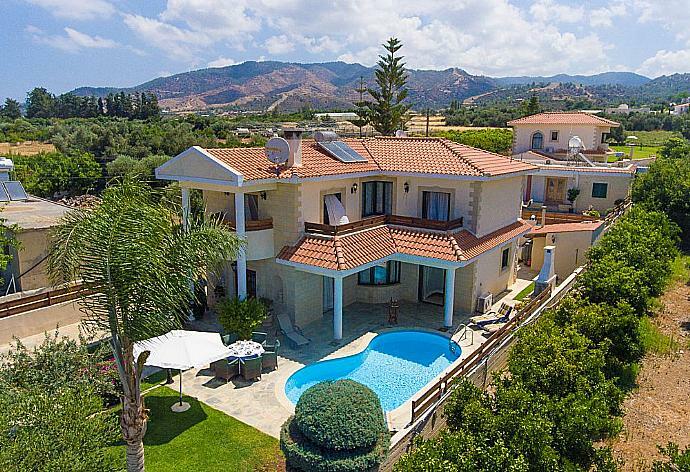 Villa Anastasia is located in Coral Bay - Paphos, Cyprus. This detached vacation rental property is air-conditioned and sleeps up to 7 people with 3 bedrooms, 4 bathrooms along with private swimming pool. The villa is walking distance to the beach and restaurants. 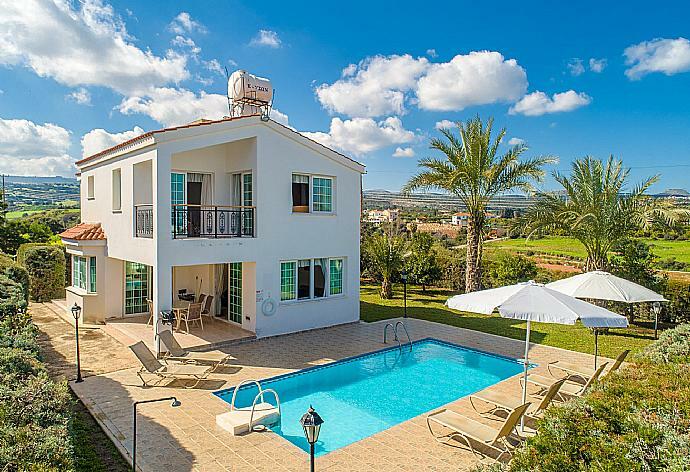 Villa Aspelia is located in Argaka, Cyprus. This detached vacation rental property is air-conditioned and sleeps up to 7 people with 3 bedrooms, 2 bathrooms along with private swimming pool (South West Facing) and sea views. The villa is walking distance to the beach. 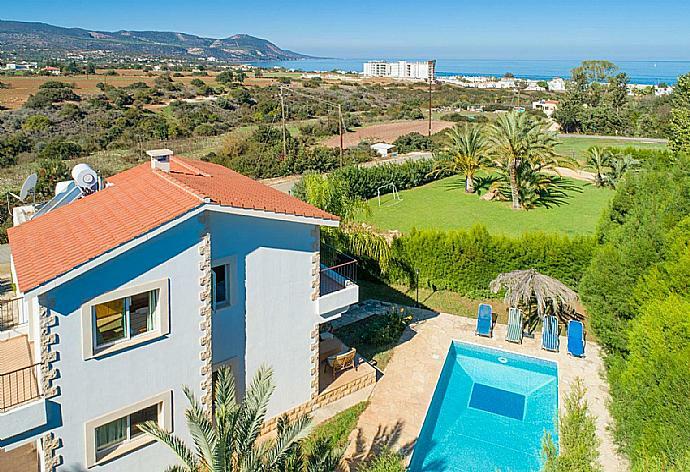 Villa Charoula Thio is located in Polis, Cyprus. 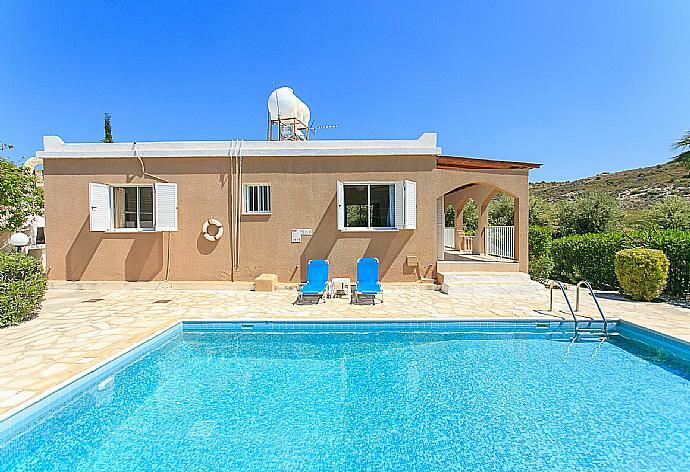 This detached vacation rental property is air-conditioned and sleeps up to 7 people (6 adults and 1 child) with 3 bedrooms, 2 bathrooms along with private swimming pool. 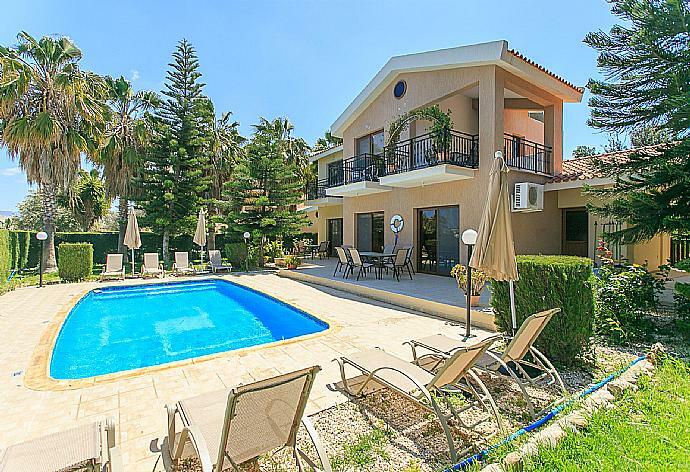 Villa Christia Maris is located in Latchi, Cyprus. This detached vacation rental property is air-conditioned and sleeps up to 6 people with 3 bedrooms, 2 bathrooms along with private swimming pool and sea views. The villa is walking distance to the beach and restaurants. 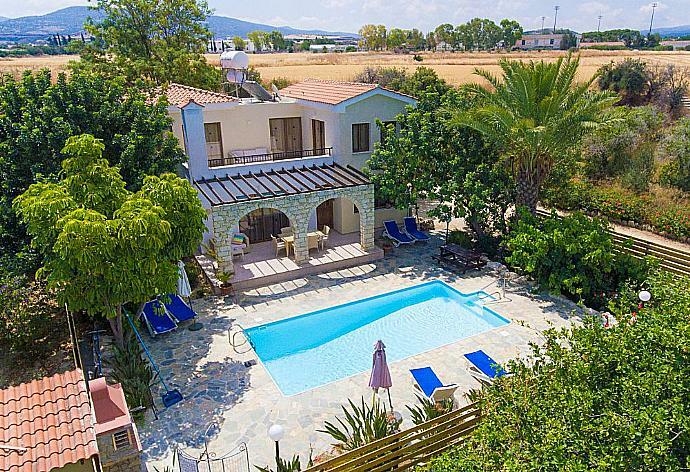 Villa Clementina is located in Agia Marina, Cyprus. This detached vacation rental property is air-conditioned and sleeps up to 9 people with 4 bedrooms, 3 bathrooms along with private swimming pool and sea views. The villa is walking distance to the beach. 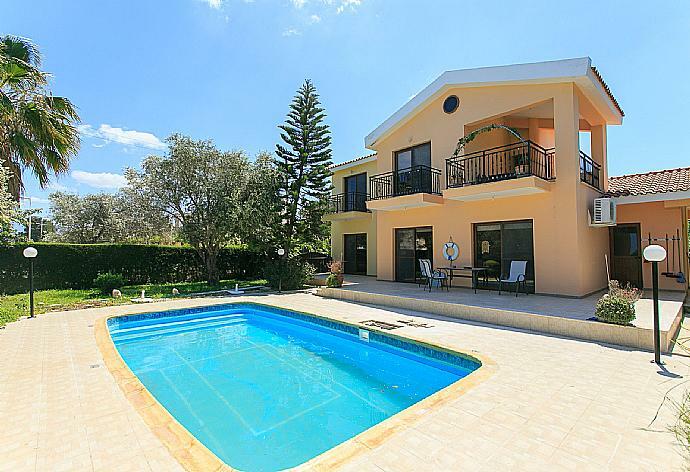 Villa Dalia is located in Argaka, Cyprus. This detached vacation rental property is air-conditioned and sleeps up to 5 people with 2 bedrooms, 2 bathrooms along with private swimming pool (South West Facing) and sea views. The villa is walking distance to the beach. 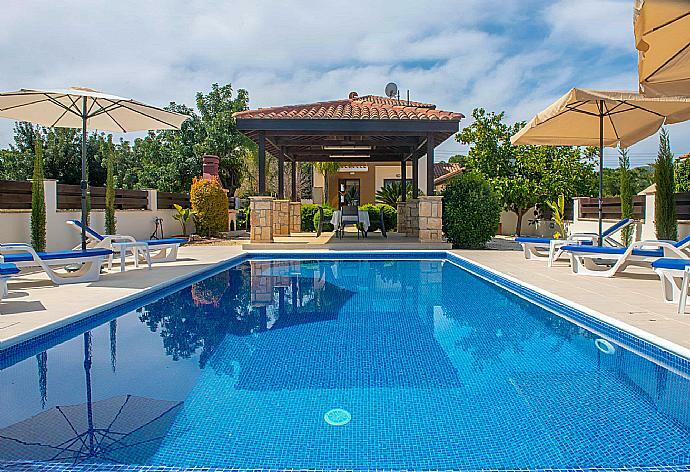 Villa Eleni is located in Coral Bay - Paphos, Cyprus. This detached vacation rental property is air-conditioned and sleeps up to 5 people with 2 bedrooms, 2 bathrooms along with private swimming pool and sea views. The villa is walking distance to the beach and restaurants. 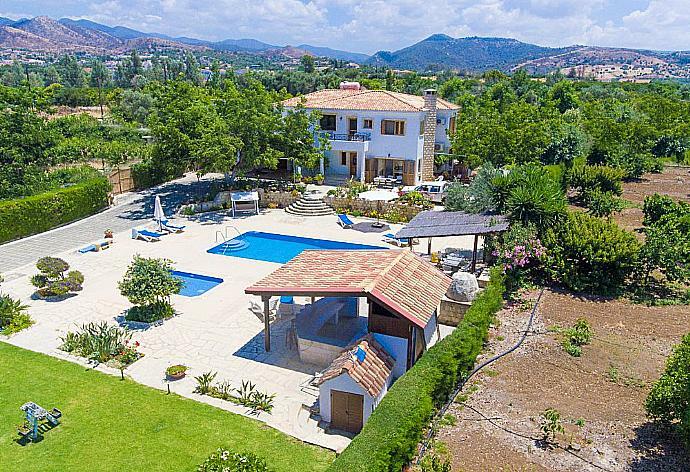 Villa Fortuna is located in Latchi, Cyprus. 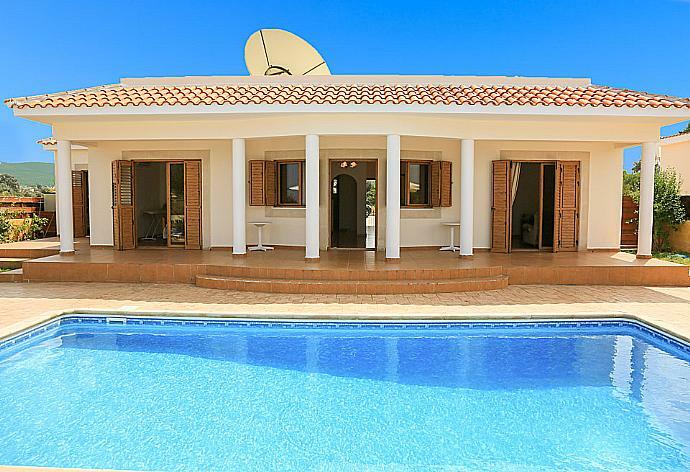 This detached vacation rental property is air-conditioned and sleeps up to 6 people with 3 bedrooms, 4 bathrooms along with private swimming pool and sea views. The villa is walking distance to the beach and restaurants. Villa Hermis is located in Argaka, Cyprus. This detached vacation rental property is air-conditioned and sleeps up to 9 people (8 adults and 1 child) with 4 bedrooms, 3 bathrooms along with private swimming pool and sea views. The villa is walking distance to the beach. 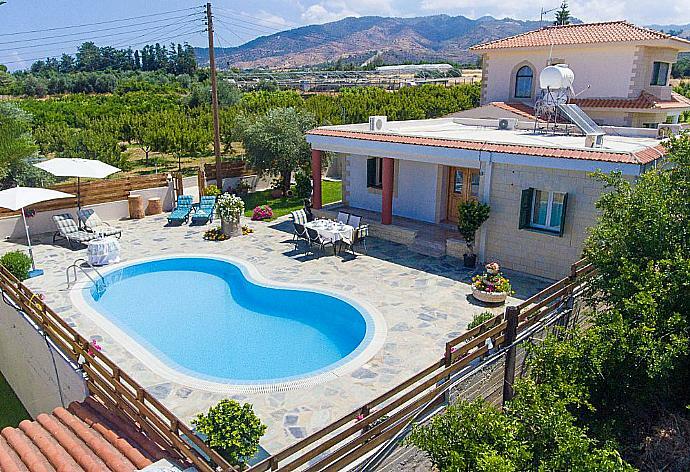 Villa Irini is located in Polis, Cyprus. This detached vacation rental property is air-conditioned and sleeps up to 7 people with 3 bedrooms, 3 bathrooms along with private swimming pool and sea views. The villa is walking distance to the beach and restaurants. 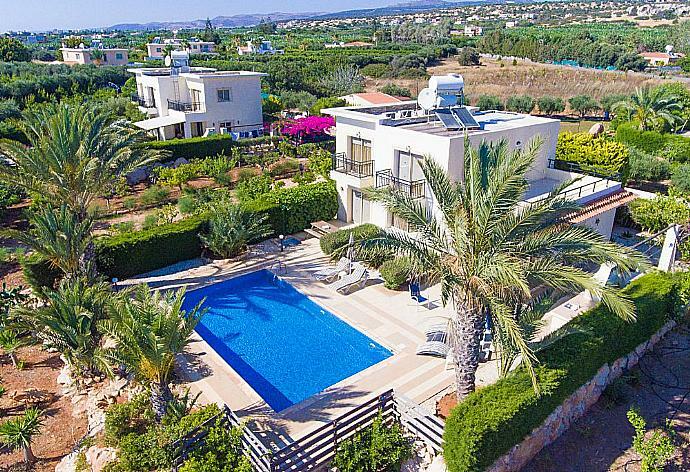 Villa Lela Pente is located in Coral Bay - Paphos, Cyprus. This detached vacation rental property is air-conditioned and sleeps up to 5 people with 2 bedrooms, 1 bathroom along with private swimming pool (South Facing) and sea views. The villa is walking distance to the beach and restaurants. Villa Prodromi is located in Prodromos Latchi, Cyprus. This detached vacation rental property is air-conditioned and sleeps up to 7 people with 3 bedrooms, 2 bathrooms along with private swimming pool. The villa is walking distance to restaurants. 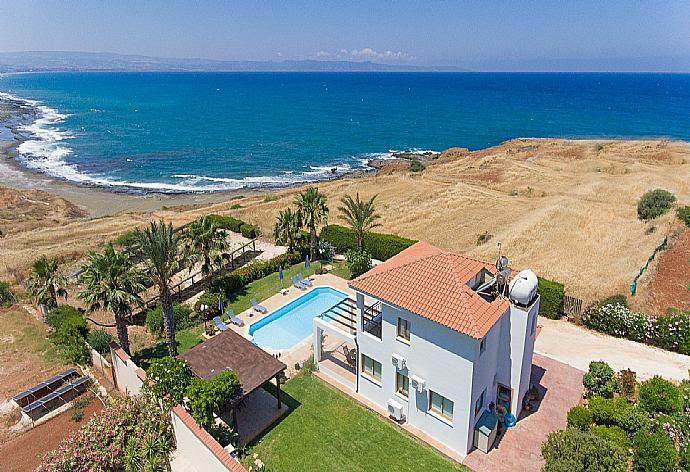 Villa Regina 1 is located in Coral Bay - Paphos, Cyprus. 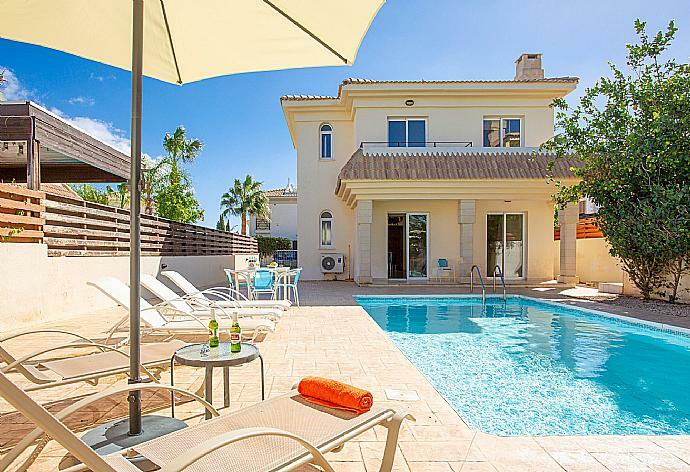 This detached vacation rental property is air-conditioned and sleeps up to 9 people (8 adults and 1 child) with 4 bedrooms, 4 bathrooms along with private swimming pool and sea views. The villa is walking distance to the beach and restaurants. 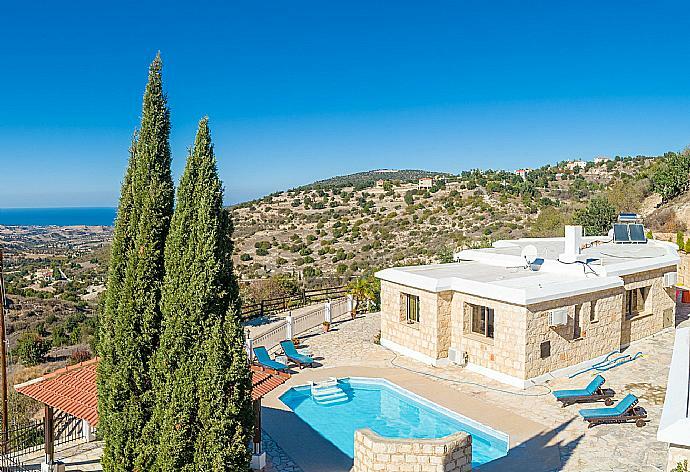 Villa Serena Peristeronas is located in Peristerona near Latchi, Cyprus. This detached vacation rental property is air-conditioned and sleeps up to 8 people with 4 bedrooms, 4 bathrooms along with private swimming pool. 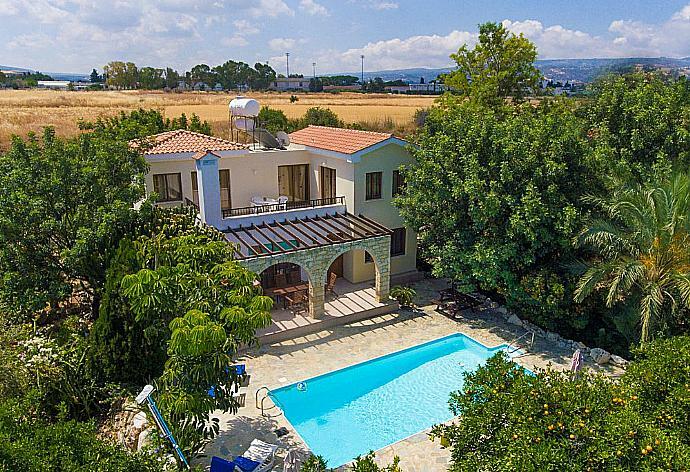 Villa Stefanos is located in Latchi, Cyprus. This detached vacation rental property is air-conditioned and sleeps up to 9 people with 4 bedrooms, 3 bathrooms along with private swimming pool. The villa is walking distance to the beach and restaurants. 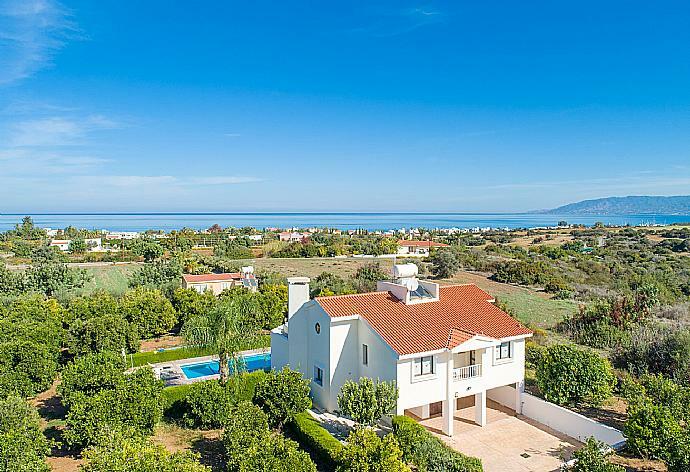 Villa Xenios Dias is located in Argaka, Cyprus. This detached vacation rental property is air-conditioned and sleeps up to 12 people with 5 bedrooms, 5 bathrooms along with private swimming pool and sea views. The villa is walking distance to the beach. 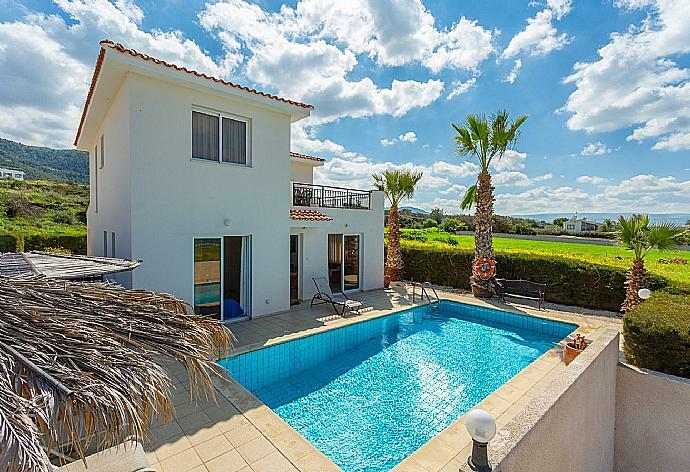 Villa Zenon is located in Coral Bay - Paphos, Cyprus. This detached vacation rental property is air-conditioned and sleeps up to 7 people (6 adults and 1 child) with 3 bedrooms, 4 bathrooms along with private swimming pool (South Facing) and sea views. The villa is walking distance to the beach and restaurants.